Bainbridge Island, Washington, USA; Pond, Lugols, 1000x, DIC. 09 Apr 2011. Karl Bruun. © Karl Bruun. Published in: Stein, F. von (1878). Der Organismus der Infusionsthiere nach eigenen forschungen in systematischere Reihenfolge bearbeitet. III. Abtheilung. Die Naturgeschichte der Flagellaten oder Geisselinfusorien. I. Hälfte, Den noch nicht abgeschlossenen allgemeinen Theil nebst erklärung: Der sämmtlichen Abbildungen enthaltend. pp. i-x, 1-154, pls I-XXIV. Leipzig: Verlag von Wilhelm Engelmann. 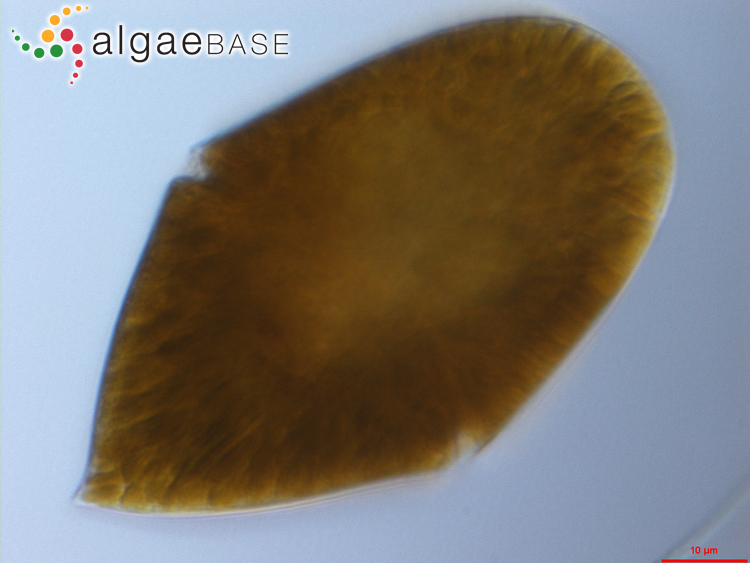 This is the type species (lectotype) of the genus Gymnodinium. Adjective (Latin), a sombre brown, but often used to indicate darkness of colour (Stearn 1973). Europe: Baltic Sea (Hällfors 2004), Black Sea (Goméz & Boicenco 2004, BSPC Editorial Board 2014, Krakhmalnyi et al. 2018), Britain (Lewis & Dodge 2002, Whitton et al. 2003, John, Whitton & Brook 2011, Moestrup & Calado 2018), France (Anon. 2017), Georgia (Barinova et al. 2011), Germany (Täuscher 2013, Täuscher 2014, Täuscher 2016), Mediterranean (Gómez 2003), Netherlands (Veen et al. 2015), Poland (Moestrup & Calado 2018), Portugal (Moestrup & Calado 2018), Romania (Caraus 2002, Caraus 2012, Caraus 2017), Scandinavia (Karlason et al. 2018), Slovakia (Hindák & Hindáková 2016), Sweden (Skuja 1948), Turkey (Europe) (Aysel 2005), Ukraine (Moestrup & Calado 2018). North America: Great Lakes (Prescott 1962), Maryland (MD) (Moestrup & Calado 2018), Mexico (Pacific) (Okolodkov & Gárate Lizárraga 2006), Québec (Poulin, Hamilton & Proulx 1995), Tennessee (TN) (Johansen et al. 2007). South America: Brazil (Bicudo & Skvortzov, 1970, Odebrecht 2010, Moestrup & Calado 2018). South-west Asia: India (Keshri et al. 2013), Iraq (Maulood et al. 2013). Australia and New Zealand: New Zealand (Chang et al. 2012), Queensland (Day et al. 1995, Ling & Tyler 2000), Tasmania (Day et al. 1995, Ling & Tyler 2000, Moestrup & Calado 2018), Victoria (Day et al. 1995, Ling & Tyler 2000, Kremp et al 2005). Flø Jørgesen, M., Murray, S. and Daugbjerg, N. (2004). Amphidinium revisited. I. Redefinition of Amphidinium (Dinophyceae) based on cladistic and molecular phylogenetic analyses. Journal of Phycology 40: 351-365, 6 Figs. Hansen, G. & Flaim, G. (2007). Dinoflagellates of the Trentino Province, Italy. Journal of Limnology 66: 107-141. Hansen, G., Moestrup, Ø. & Roberts, K.R. (2001 '2000'). Light and electron microscopical observations on the type species of Gymnodinium, G. fuscum (Dinophyceae). Phycologia 39: 365-376. Hoppenrath, M. & Leander, B.S. (2007). 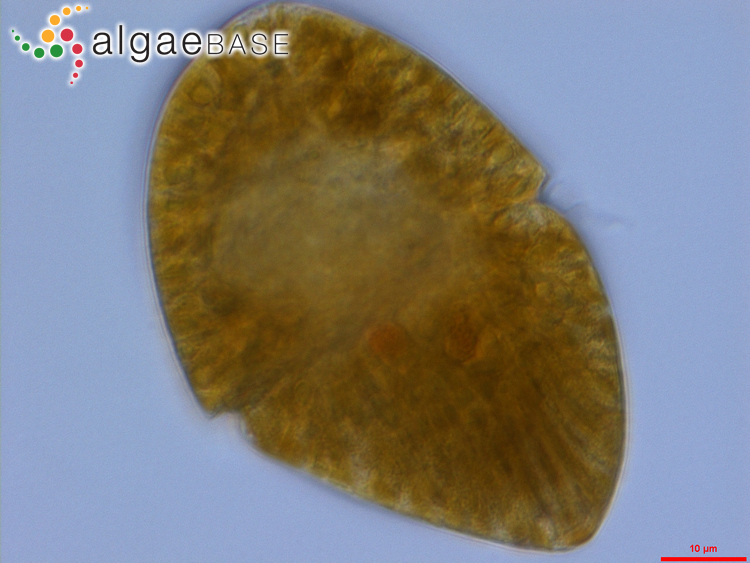 Character evolution in polykrikoid dinoflagellates. Journal of Phycology 43(2): 366-377, 5 figs, 2 tables. Thessen, A.E., Patterson, D.J. & Murray, S.A. (2012). The taxonomic significance of species that have only been observed once: The genus Gymnodinium (Dinoflagellata) as an example. PLoS ONE 7(8): e44015. Accesses: This record has been accessed by users 5080 times since it was created. Dodge, J.D. & Crawford, R.M. (1969). 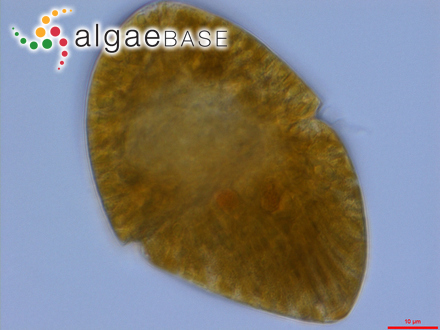 The fine structure of Gymnodinium fuscum (Dinophyceae). New Phytologist 68: 613-618.